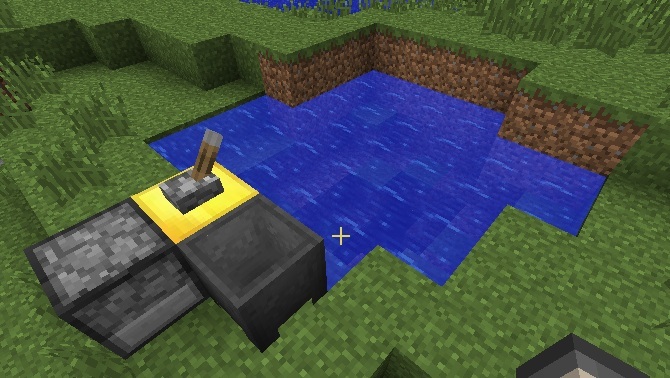 MachinaBuilder lets the player build a Machina that drains or fills an area with water or lava. 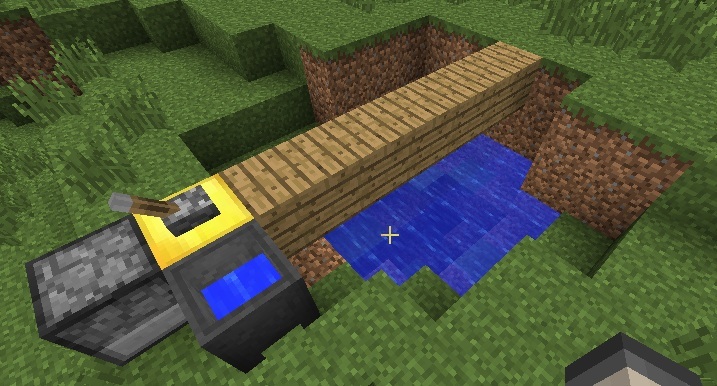 It can be used to drain or fill deep pools of water or lava. Drains or fills in a square below the tube. Respects protection from region protection plugins such as WorldGuard, depending on which player activated it. 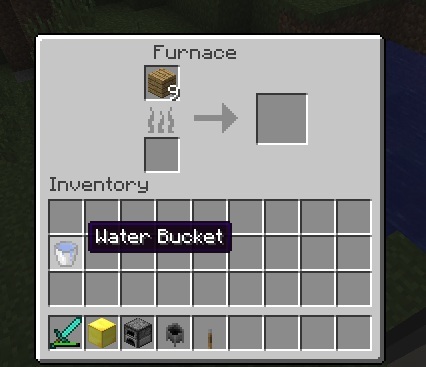 Example for a water pump: Build a gold block with a furnace behind it. 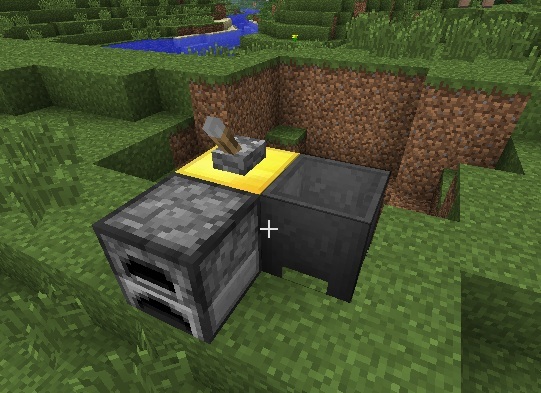 Attach a cauldron and lever anywhere to the gold block, except the front. 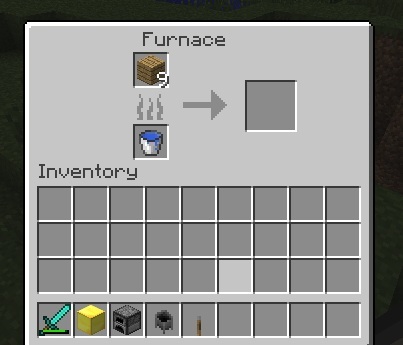 Fill mode: Put the wooden planks into the furnace's top slot. The pump can use up to 9. Put a water bucket in the bottom slot. The area affected is roughly a square below the tube once it is complete. Progress for each layer is shown in the cauldron. 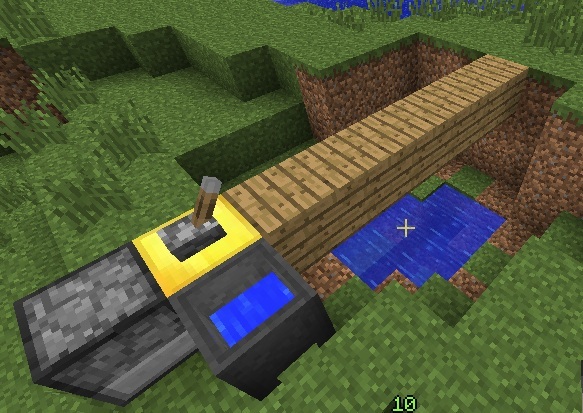 Drain mode: Put wooden planks in the top slot, leave the bottom slot empty.